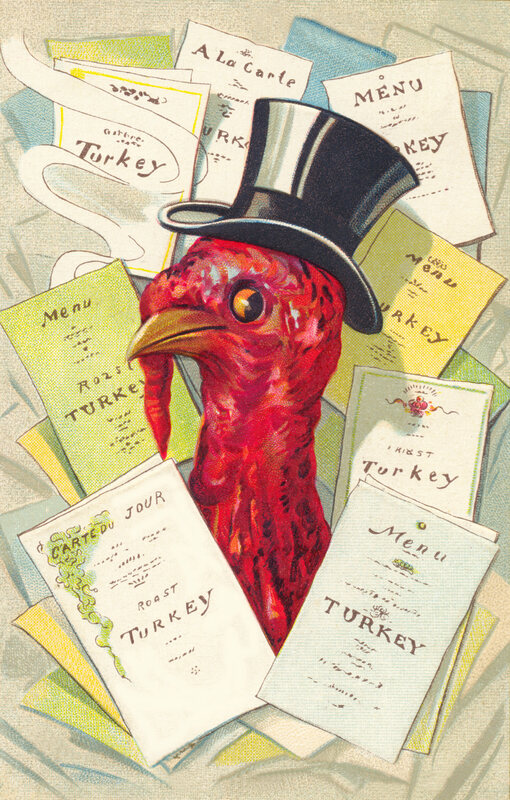 The artist of this Turkey Parade Thanksgiving Graphic from 1907 knew how to draw the eye. 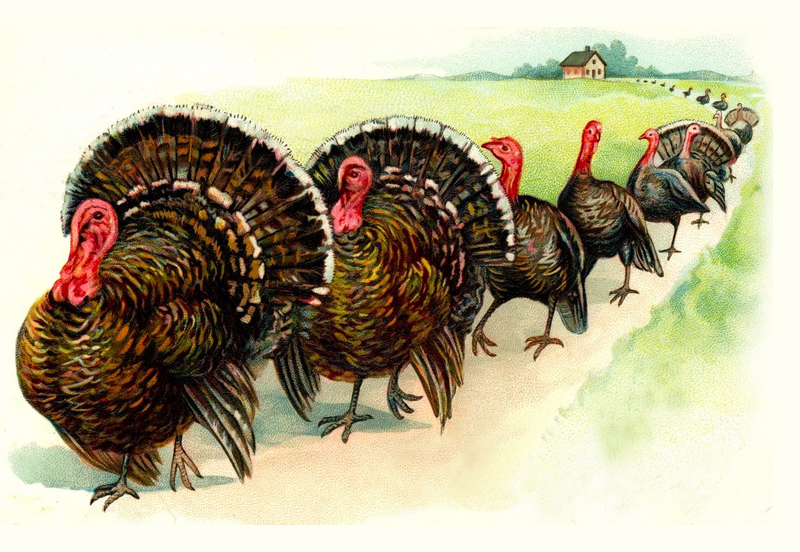 The way these turkeys are lined up and marching down the road brings them alive. 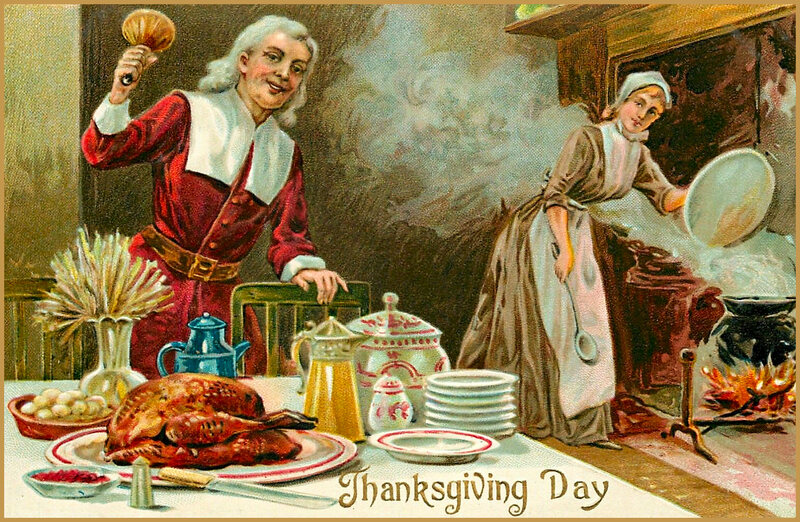 What a cool Thanksgiving image. I hope you find it useful for your creations. 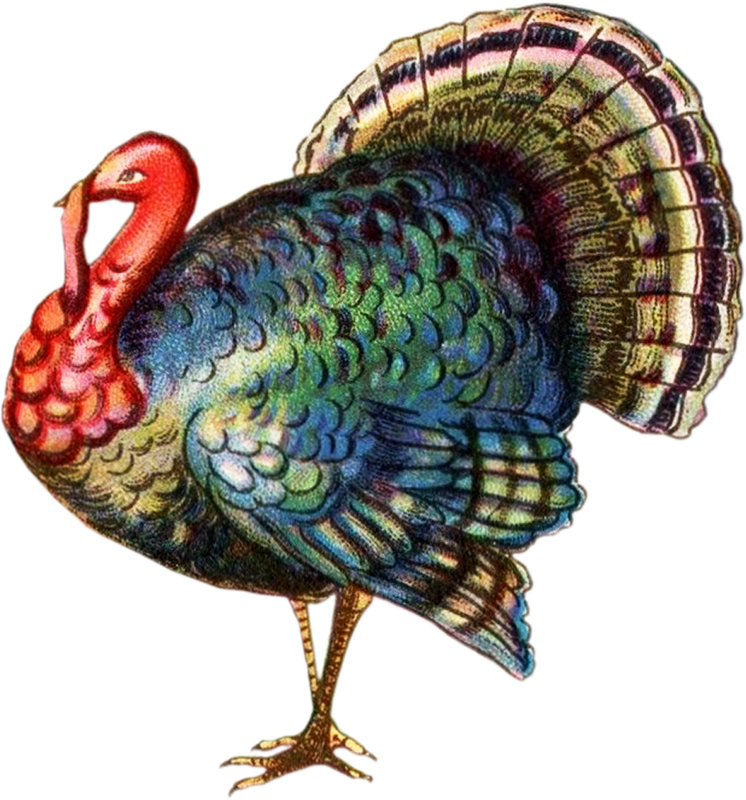 This entry was posted in Thanksgiving Clipart and tagged antique image, free graphics, Free Vintage Thanksgiving Clipart, vintage image on November 13, 2014 by ClipArtPlace. 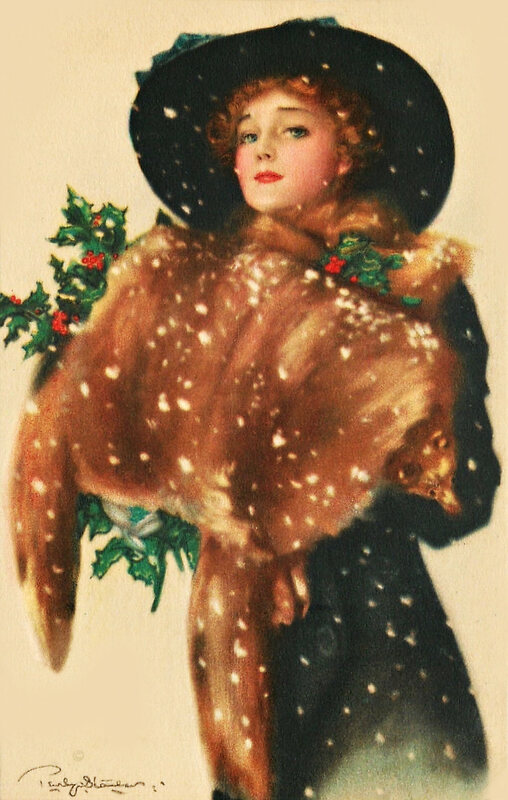 A beautiful Edwardian lady wrapped up in a fur decked with holly. She wears a wide brim hat topped with a bow. Snow is falling down all around her, giving the viewer the sense that Christmas is near. The woman has a bit of wry expression, not very cheerful. It makes the viewer wonder why. Or, perhaps, I’m merely reading too much into it. At any rate, she’s lovely, and I hope you find her useful for your creations. This entry was posted in Christmas Graphics and tagged antique image, Christmas clipart, free graphics, Lovely Christmas Lady Graphic, vintage image on November 13, 2014 by ClipArtPlace. A gorgeous seamless tile I made from a Victorian or Edwardian trade card for, believe it or not, butter. Such a lovely image for an advertisement, but they were a highly collectible commodity back in the days when people used them in scrapbooks and to create various decorations. Truly, such ad cards were artistic treasures in the Victorian era. 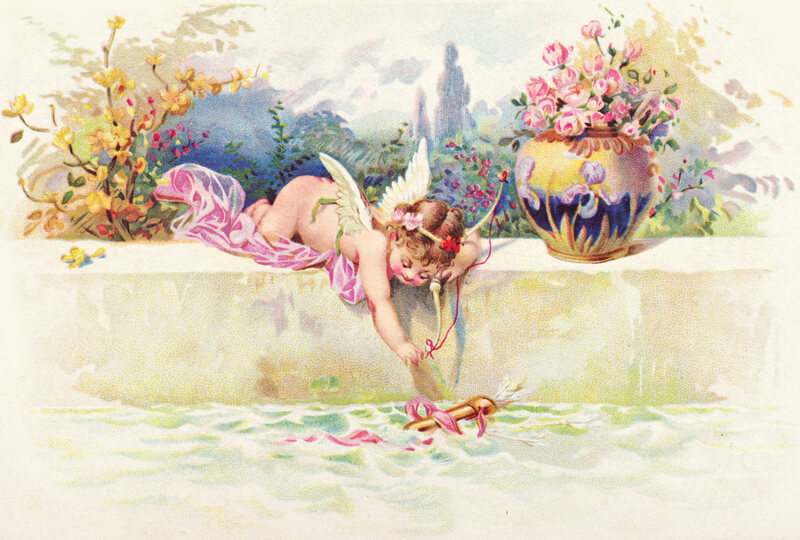 You can download the image that I made this seamless tile form here: Cupid Loses Arrow Graphic. 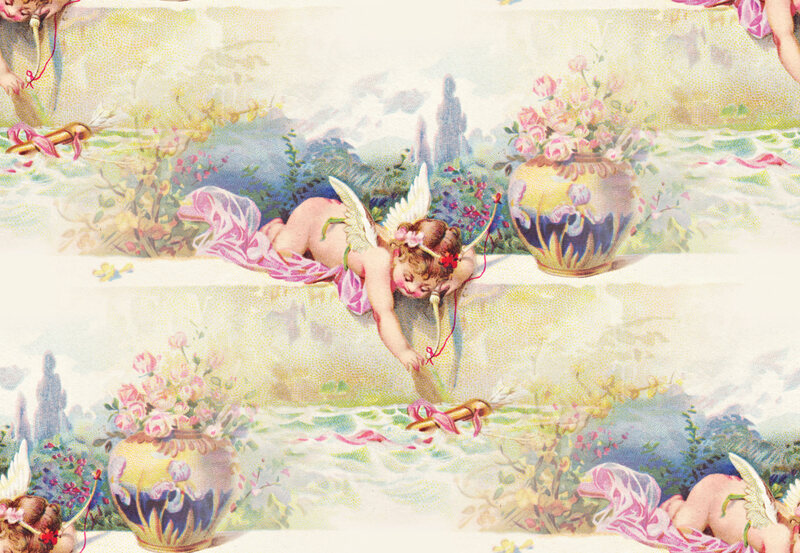 This entry was posted in Seamless Tiles, Valentine's Day and tagged antique image, Cupid Loses Arrow Seamless Tile, free graphics, valentine clipart, vintage image on November 12, 2014 by ClipArtPlace.